I have never been good at following the crowd. While my friends drooled over Jane Austen, I was obsessed by Edith Wharton and Henry James. When the whole world was disco dancing, I was busy folk dancing. At college, when ripped jeans and tank tops were de rigeur, I was in skirts and heels. When I had to travel to Barcelona or Bilbao to buy a cute dress at Desigual, I was so there; now that I can buy it on the high street in my local town (or, God forbid, on Amazon) it has lost much of its appeal. When I was young, knitting was not a cool thing to do, not by a long shot. I took my knitting everywhere. Now, however, knitting is trendy. I still find myself reluctant to follow the crowd, but I am not about to put down my needles and take up book binding just to buck the trend. These days, with knitting, this rebelliousness asserts itself in my reluctance to jump on trends. As an example, I have never knit a sock, though for a few years sock knitting was THE thing. I even went to a three-day sock knitting workshop (an expensive one), where I managed to finish a sweater, cast on a skirt, and knit about 2″ of a sock. I can be wildly excited about something, but as soon as I realize that everyone else is doing it, my enthusiasm tends to wane. Yes, I know, this is terribly infantile. 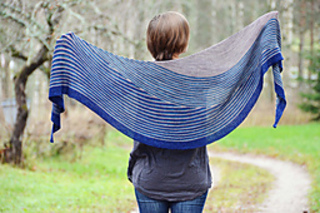 This is a rather roundabout way of introducing my topic: the Colour Affection Shawl, by Vera Välimäki (pictured above). 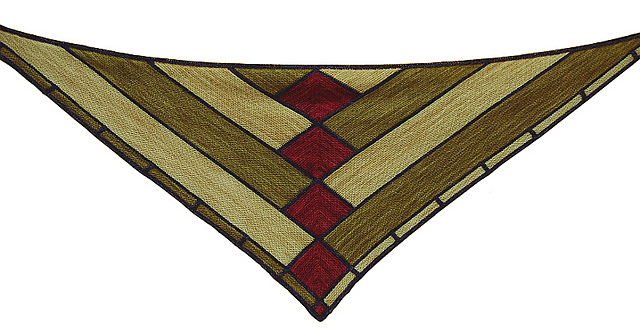 This shawl was originally a collaboration between the designer, Veera, and Sarah Dimond of The Plucky Knitter. The yarn was produced by Sarah as a kit and sold with the pattern. For the first few months, the pattern was only available as part of a kit. Sarah is known for her sense of colour and her ability to put together interesting combinations. I saw the pattern on a forum, which announced that Sarah had put together 20 or so different colour combinations, and that these would be put up for sale at a particular time on the internet. I looked at my watch; they would go on sale in minutes. I could tell from the forum, and from what I knew of The Plucky Knitter, that they would sell out instantly. I would be lucky to get one. I had barely any time to choose a kit. I looked through the options, picked one out, and then asked Emma which she liked. She picked out the same one, Parlour Games, I figured that was a sign, the sale went live, I pulled out my credit card and snagged a kit. I later found out that I was in a lucky minority. Hundreds of unhappy knitters missed a chance; they truly did sell out almost instantly. Sarah went on to put up another round of kits, and then another. I had a few projects on the go at the time, so I waited a bit to start knitting. Then, I encountered a bit of a snag. I decided to wind the yarn into balls. I do all of my winding by hand. I started with the pink yarn. (The colours are called Faded Grandeur, Elegant Elephant and En Vogue, but for the purpose of this post, they will be green, grey and pink.) This was also around the time that I had an issue with colour bleeding in a different project, which I discussed in this post. This was a sweater knit in a slip stitch pattern in red and white. The red dye bled and the project was useless. I ended up throwing it away. I realized belatedly that I should have washed the pink yarn, while it was still skeined, to make sure that all of the dye was released. Once I had it balled, I couldn’t wash it, and I was very reluctant to re-skein it for the purpose of washing. This is a long way of saying, that I began to fret about whether the pink would bleed, and so once again put the Colour Affection shawl on hold. Now, while this was going on, the shawl began to be very popular. Sarah couldn’t produce enough kits to meet demand. Then, the pattern was made available independently and knitters started knitting it in lots of different yarns as well. Some knitters made 5 or 6 or 7 of them. I began to lose my interest. And all of this was before Stephanie Pearl-McPhee stepped into the picture. Yes, the famous Stephanie of the Yarn Harlot, knit blogger extraordinaire, wrote a post about the popularity of the Colour Affection Shawl at a knit workshop she had attended, and before you could say boo, thousands of knitters were making it. I think this is great for Veera, who makes lovely designs, and great for Sarah, who makes lovely yarn. However, it immediately made my infantile inner knitter say “I don’t want to make that.” Why, oh why, do I do this? Wouldn’t it be more sensible to think “Thousands of knitters can’t be wrong.” But the honest truth is, the more Colour Affections (CAs) I saw on the internet, the less I wanted to make them. I love the pattern Pop Spots by Juju Vail. It is becoming popular as well, though not quite on the same scale (yet) as the CA. I have thought of making this in the grey, with pink spots and a green border. This pattern is one of those rare ones that Emma and I disagree on. Emma doesn’t like it and thinks it’s too old for me. I have seen some great ones, in terrific colours, and find the spot pattern really appealing. On reflection, however, I think I prefer the Pop Spots in a softer yarn with a bit of a halo. This one is called Happy Street. I would knit it in the grey, with the stripes in the green and pink. You can see why Veera’s shawl patterns are so popular; she uses colour and garter stitch and simple shapes to great effect. 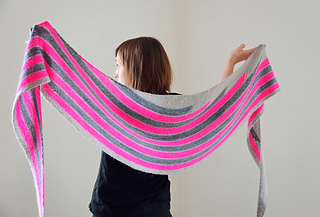 In fact, my very first post on this blog was to show off my Stripe Study shawl, a Veera design. It is beautiful in these neutral colours, but imagine it in the fabulous grey, green and pink I have, with deep charcoal borders. So simple, but so beautiful. Laura first attracted my attention years ago with her Lizard Ridge blanket pattern; lately, she is making so many beautiful things. Please go check her out. Well, dear readers, what do you think? Should I ignore my rebellious inner voice and knit the Colour Affection? 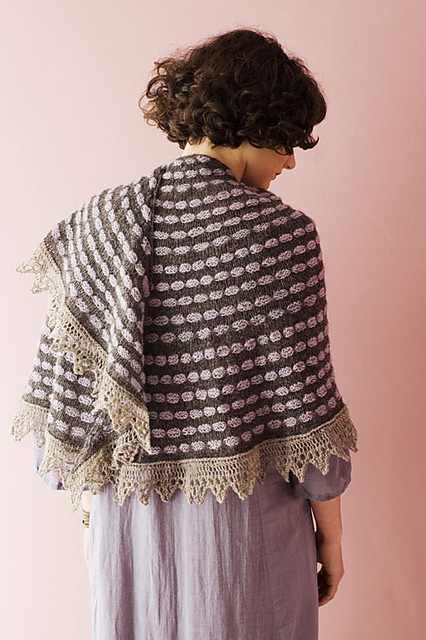 Should I knit one of these other lovely shawls? Should I hold out for another pattern down the line? Also, if anyone has experience with Plucky yarns, should I re-skein the pink yarn and wash out the dye? This entry was posted in Main and tagged All the Shades of Truth shawl, Color Affection Shawl, Eden Prairie shawl, Happy Street shawl, Juju Vail, Knitting, Laura Aylor, Nancy Whitman, Plucky Knitter, Pop Spots shawl, Veera Välimäki by knitigatingcircumstances. Bookmark the permalink. I’m not yet fully caffeinated, so I’ll keep this short: I agree with Emma. Eden Prairie appears perfectly suited to the yarn you have. And vice versa. Eden Prairie gets my vote. All the Shades of Truth is my vote. But, you’re the one knitting it. I also notice that they are all different shapes. Which shape do you think you will get the most wear out of? I ordered three skeins of Sweet Georgia CashLuxe to make a Colour Affection. And then a friend made it – and guess what? – it’s not really THAT big, nor that wearable! I’m saving my (gorgeous!) wool for something else, but what? It’s the same conundrum. Truthfully, none of the patterns strikes my fancy. 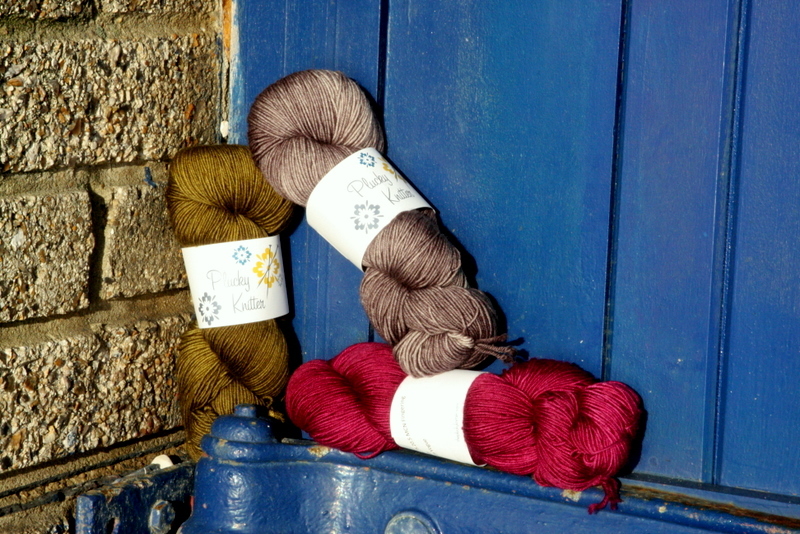 While I do like Veera’s Happy Street – meh – I’m still not convinced it’s the best use for your beautiful wool! I realize I am absolutely no help whatsoever. I’m sure whatever you choose, it will turn out beautifully! I’m also sure between Emma and Leah, someone will expropriate a scarf or shawl from Mom’s closet! 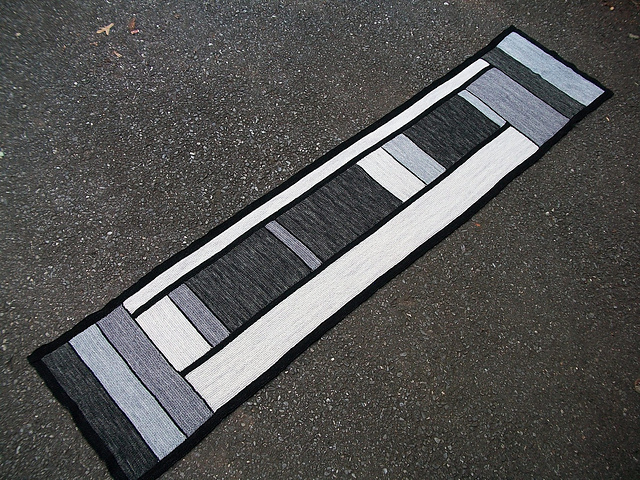 Eden Prairie, or All The Shades of Truth (or another color block by Laura Aylor). Lovely yarn, I am jealous! I made Eden Prairie when it had a KAL and loved knitting it and think it’s a great layering piece. Lots of ends to weave in. I get lots of compliments on it. But then again a pair of mitts and a cowl would be very useful and beautiful in those colours… and keeping the pink separate would save the colour bleed worry. Thank you all for weighing in on this matter. I have had a bit of an interesting idea in the meantime about this yarn. I will post about it soon.